KDC Interactive/Multilanguage Website - Unikron Inc.
KDC contracted Unikron to develop their Website and Corporate Video. The challenge was to create a new and innovative concept with friendly navigation, along with integrated graphics. They also required simplifying of all industrial divisions and locations. 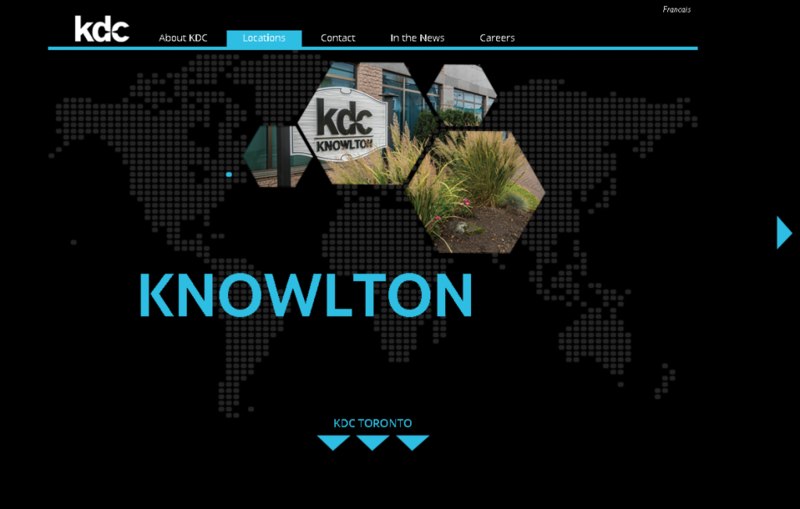 KDC-Companies, Knowlton Development Corporation, is North America’s premier contract manufacturer and custom formulator for the Consumer Goods Industry. 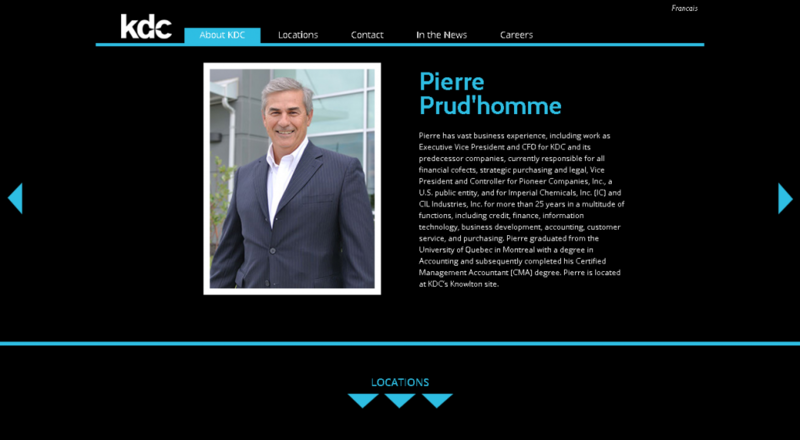 Unikron provided KDC with a multi-language customized website with English and French videos as part of the solution. We re-designed the website with a Content Management System (CMS), which provided access to updated content from any place, at anytime.